Leave it to Cardi B — who should be preoccupied with promotion for her new twerk-off-style music video — to be the only adult in the figurative room. 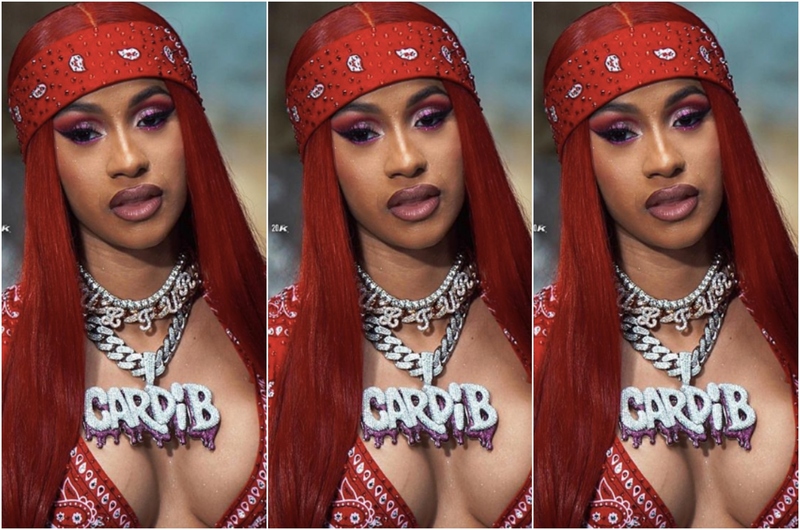 Political pundits are going crazy over the Bronx rapper’s latest Instagram video in which she takes on Trump’s crazy government shutdown head on. Adorned in turquoise eyeshadow and a fly bob wig, Cardi pointed out for the MAGA members in the back that Obama’s government shutdown only lasted 17 days and it was for healthcare. Here we are nearing the 30-day mark and Nancy Pelosi and Trump are exchanging hate mail via Twitter about what the other shouldn’t be doing during the shutdown. Ugh… It’s all so very annoying and a crying shame that people are facing eviction and can’t afford to get important medical prescriptions because we can’t come to an agreement about the course of action for a stupid border wall. The facts are: (1) This country is rich of enough for the wall, but agreeing to it would be appeasing the racist Cheeto in the White House and his racist flock. I’m not necessarily opposed to the wall because I live in the North East and I have my own damned problems to worry about. I say put the money up if it will give the hardworking government employees their paychecks. (2) The wall is so very stupid. El Chapo himself, the certified king of drug smuggling, was able to carry out his missions via underground tunnels, boats, and in vehicles at ports of entry. Again, the wall won’t do much to keep drugs or the “bad people” out. The numbers will do the talking after this is all said and done. (3) We really need to fix the immigration issue as it stands. America has always been a beacon of hope for people all over. When did that change? People are fleeing violence and dire predicaments. Compassion is in order. Cardi, I’m scared too. Everything that happens in the country tends to have an impact on the next sector, so it’s only a matter of time before we’re all in a financial bind. My heart is with federal employees. I hope we can come to some conclusion soon.